There's something great in every state...and beyond | A minimalist with a passion for travel. 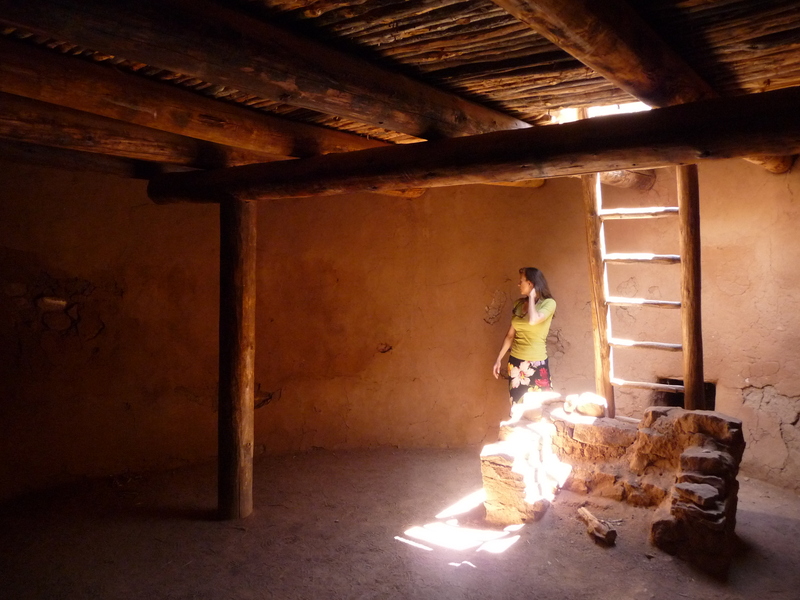 There's something great in every state…and beyond – A minimalist with a passion for travel. We couldn’t have ordered better weather in the Gorge though if we were windsurfers, we might be disappointed. The water is like glass today and it’s reflecting all the hues of the rocks surrounding it. In all the years I’ve lived in this area, I’ve never done much more than visit a couple wineries, have some lunch and head on down the road. Today we’re spending a night and enjoying some of the wineries we’ve yet to visit. Our first stop at The Gorge White House was a fantastic introduction to all this area has to offer. Self dubbed the Visitor Center of the Gorge, The Gorge White House carries wines from all over the Columbia Gorge so, riding on the coat tails of a New Yorker who visited earlier and bought a case, we could’ve tasted 16 different wines at $1 per taste. What’s particularly convenient is we were able to taste several wines from the Washington Side in one location. Aniche Cellars has a stand out Albarino that traditionally pairs nicely with paella. Albarino is not a wine you see often around here. Viento’s 2006 Vento was a big, beautiful, bold blend of Sangiovese, Barbera Grenache and Syrah. Be still my heart. The blend lover that I am, we chose a bottle of The Pines 1852 2010 Big Red made with Syrah, Merlot and Cabernet Sauvignon. Our pourer, Joanne, was knowledgeable without being pretentious and attentive without being overbearing. The welcome mat to the Gorge has been well placed with Joanne and The Gorge White House. A few bonuses on The Gorge White House property are u-pick flowers, a food cart that’s kicking out great lunch fair and beer and cider tastings (ciders made on site). Just up the road on Hwy 35 sits Wy’East Vineyards looking a bit like a very large produce stand from the outside. They’ve added comfy outdoor seating and you can bring your own picnic fixings to enjoy with their pastoral view and wonderful wines. Never claiming to be a white wine lover, I did enjoy their 2011 Tilly Jane probably because it was a blend and on the tarter side. True to form, however, their 2010 Cabernet Sauvignon drew me in. I’m a Cab girl. The tasting room here is well designed; cozy interior for brisk days and fantastic outdoor space for the sunshine we were enjoying. 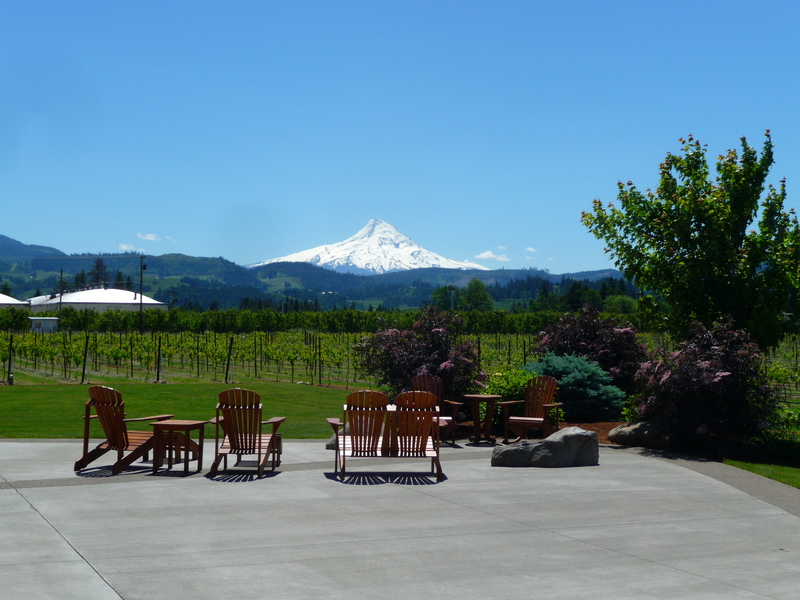 Mt Hood Winery, also located on Hwy 35, has a grand tasting room. Glass front A-frame with vaulted , wood-lined ceilings studded with skylights and supported by stout wood beams. This winery is definitely event-focused. The reds here were consistently terrific. From the Grenache with a hint of pepper, to the spice in the Estate Pinot Noir to the perfectly balanced Summit Red blend, to the smoke in the Malbec to the smooth mouth feel of the Syrah with an intoxicating nose. Our next stop was providence because all the information we had told us they wouldn’t be open. Marchesi Vineyards was open…and then some. Sandy was our pourer and hostess. She is the wife of the Italian winemaker who came to the area years ago, fell in love, purchased this land and the rest is our good fortune. Delight in the space as well as their Italian varietal wines. It’s like sitting in a green house in the middle of a garden. As Sandy sliced salami with a 105 year old meat slicer shipped from Italy by the winemaker’s father before he died, it was nearly enviable how content she was with the life her and Franco have made for themselves here in Hood River. Dolcetto, Barbera, Primitivo, Nebbiolo/Barbera blend…these are not wines you consistently taste at one winery and certainly not common varietals in the area. Of course, the 2009 Sangiovese did me in. Turpentine, pepper, fig and dark berry flooded my cheeks and I was suddenly craving spaghetti with a chunky sauce. Now we’ve been to Pheasant Valley Winery a couple of times but it’d been quite a while. We were met by their arthritic winery dog. 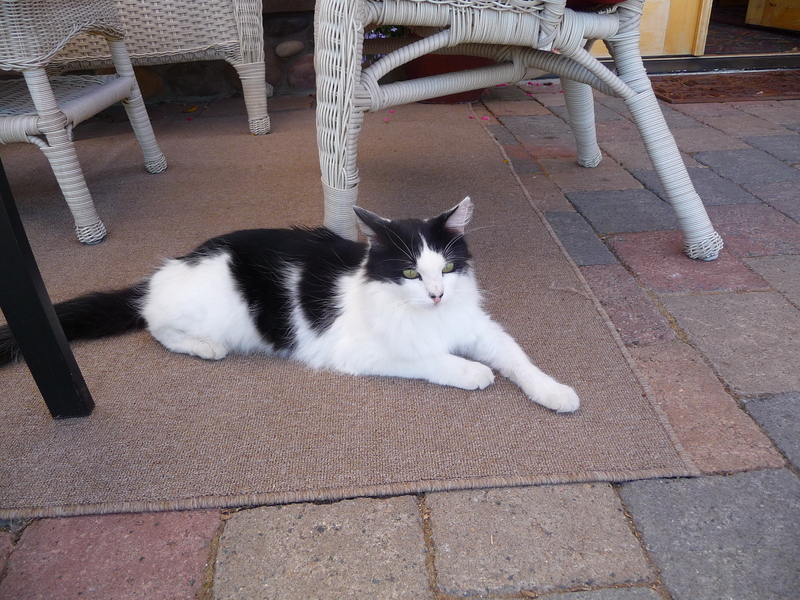 Even still, he obliged us by sitting as still as he could on the slippery concrete floor so we could ooh and aah over him. The owners and staff at Pheasant Valley have a huge heart for dogs and dog rescue. Pheasant Valley’s Old Vine Zinfandel is made from the oldest vines in Hood River which is an impressive note. I do enjoy the Pinot Noirs in the Columbia Gorge more than the Willamette Valley. They have a softness to them with hints of vanilla, toast and cherry that I prefer. Their Barbera flirts its potential but needs time in the bottle to soften its edges. The Tempranillo, as I’ve found in other places today, clings to the teeth like tea steeped too long and really needs to be paired with food to appreciate what it has to offer. Probably my favorite was their 2009 Syrah with a big berry, deep spice and heavy plumb taste complimented by a dark chocolate nose. The Pines 1852 has a tasting room located in downtown Hood River so we high tailed it over before they closed. The gal who greeted us said we were her first customers all day and we were there 30 minutes before she closed. Regardless, she was very nice and informative. Sadly, I do not have my tasting notes for this location but would certainly recommend it since we purchased a bottle of their 2010 Big Red at the The Gorge White House. I understand they’re relocating to a smaller space but will still be in the downtown area. Of all the pourers we visited with today (and we met some stellar people), Kate at Springhouse Cellar won the gold ribbon. She was absolutely delightful…or was it all the wine we’d already had? No, it was her. She was just the kind of gal you’d sit and enjoy a bottle of wine with. Their 2009 Petitie Syrah and 2011 Sangiovese took me over the edge. Full bodied, food friendly and some pepper in the Sangiovese…just the notes my mouth craves. Springhouse Cellar has a couple features that make them truly unique. They’re housed in a “turn of the century fruit cannery and distillery” so from inside you look down on the old walls of the distillery and that’s where they hold some spectacular outdoor events. The old roofless walls make for terrific acoustics and transport you to Italy…well, by the second or third glass, maybe. Additionally, they have 10 wines on tap. It’s a funky set up that was the perfect ending to our whirlwind Hood River winery adventure. Packing for a European vacation – or any vacation of two weeks or more – can seem almost as daunting as planning the trip itself but it doesn’t have to be. I have traveled to Europe three times for two-three week visits each with nothing but a 19” rolling carry on suitcase and a Rick Steves Civita day pack. Prior to our first European vacation, I worked for Hilton Hotels and went on conventions with other travel associates with this same carry on and a small purse. My travel companions were always astonished that I could pack dress skirts, suit jackets and heels for a full week with so little weighing me down. I should caution you that I am not a clothes hound, I’m not a hair girl and I have no idea how to do a smokey eye. But I still think I’m representing America just fine whether traveling abroad or within our borders. The trick really is to plan your wardrobe around similar colors. Below is a detailed list of EVERYTHING I packed on our first trip to Italy Sep/Oct 2006. For example, my ‘Paris’ skirt matched three tops and another skirt matched two tops so there’s five outfits right there. I aim to pack half as many bottoms as days I’m gone. In other words, if I’m gone 15 days, I aim for a combination of 7-8 skirts/pants. Also, whatever outfit I choose to fly to my destination in is the outfit I fly home in. That’s two days I don’t have to think about and I try to wear my thicker outfit on the plane so I’m not packing it. I am not shy about washing things in the evening or taking advantage of a washing machine if one is available (which I never count on) as opposed to packing 16 pieces of underwear. Shucks, that’s just no big deal when you consider how much precious cargo space that underwear is going to take up. It also doesn’t bother me in the slightest to wear an outfit two-three times on a long trip. Seriously, none of the people you’re going to meet wine tasting in the French country side will have a clue you wore that same outfit having dinner along the Cinque Terre. Isn’t the whole point that you had dinner along the Cinque Terre not what you wore doing it? 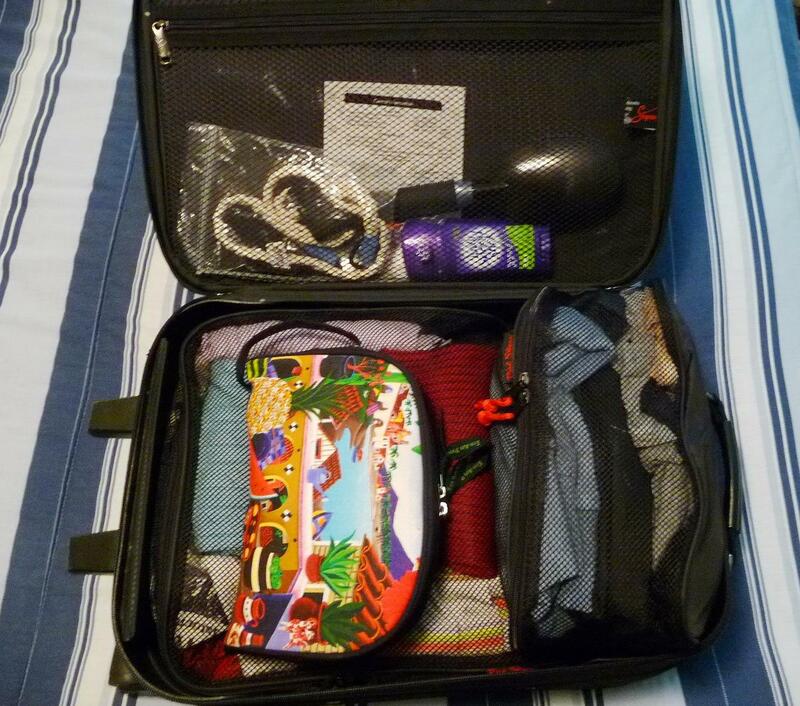 I love Rick Steves’ packing cubes. They come in a set of three but I only use two. I suppose I could use the second smaller one for my cosmetics but, since they’re mesh and have holes, it’s not ideal. You really can pack more in a suitcase with these cubes. I don’t understand it. It’s the same space but it works somehow. Another great thing is I put my day clothes in the large one and my night clothes, work out clothes, miscellaneous in the second one so it’s just easier to pack and unpack this way. To roll or not to roll, that is the question. I roll most of my clothes but not all of them. If I’m packing jeans or pants, rolling just seems bulky to me so I lay them flat but I roll my shirts, sweaters, just about everything else. Oh, a word about these ‘pack able rain jackets’. I have a thick Columbia Sportswear rain jacket that’s made of PVC material and has a hood. I rolled it like a shirt, it flattened out perfectly, put it in a cube and was very glad I had it when were caught in Tuscany for a couple days in the wet and muck. My point? Specially designed clothing is often times not necessary. Try what you have first. Can I just tell you how much I love my cosmetic bag? I bought one from Nordstrom when I was a teenager. It was ripped on the inside and starting to wear on the outside but I loved it because it’s clam shaped so it opens more fully than another designs. Plus, the inside material was durable and I was having a hard time finding a durable replacement. Finally, I found my bag on Etsy. It’s colorful and makes me smile whenever I reach for it. Measuring 2.5”x 6”x 9”, it comfortably fits everything I use. I keep my liquids in a quart-sized Ziploc and take that out before going through security. My colorful cosmetic bag…and everything else. When you’re a girl, container sizes become important for travel. We have a lot of liquids. You don’t think about it until you have to pack them in a quart-sized plastic bag. So, I’m always on the look out for just the right containers. I label them as to their content so I don’t use face lotion to wash my hair on accident. A word about exercising on vacation. I exercise four-six times a week at home and I really try to fit it in on vacation but I’m not a jogger so sometimes you just have to let go, walk more briskly through towns, not go crazy at dinner every night and just look for hills to climb and fortresses to conquer. Some trips are more conducive to daily physical activity than others. Have another glass of wine and you won’t care as much. Scanning my packing list you may think “I don’t need that” or “Why didn’t she list that” but that’s what makes me confident anyone can pack this way. I don’t have an advanced cell phone so I use paper maps, paper itineraries, a paper day planner, things someone more electronically inclined won’t pack. My husband carries the camera but, if I did, that would fit fine in my day pack. I don’t bring a blow dryer, hair spray or any other hair products. You might. I’ve packed hiking boots in place of Tevas, swimsuits in place of jeans. I’ve exchanged khakis for a skirt, tank tops for sweaters. 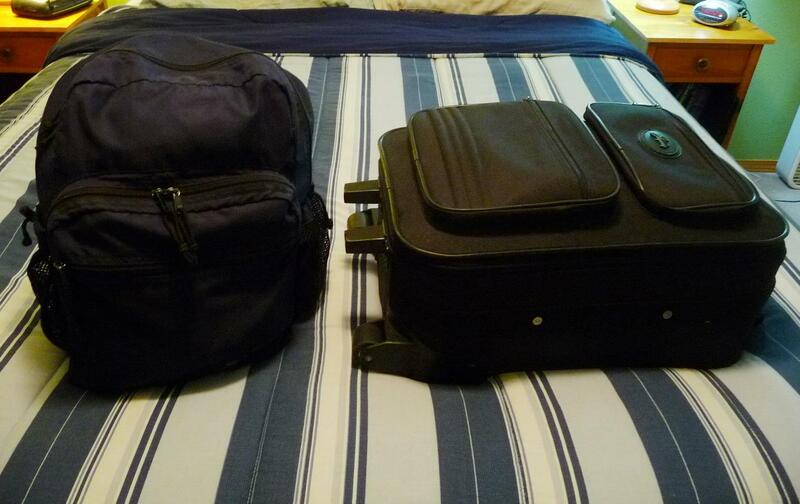 Any trip I go on, these are the only two bags I use. I don’t go naked. If I run out of toothpaste, guess what, people in Germany brush their teeth and they buy toothpaste at this thing called a store. And if you’ve not been to a store in Germany, what a great excuse to go into one. I love stores in other countries. They have a lot of the same stuff but a lot of stuff we don’t have or it’s packaged differently. It’s just part of what makes leaving the comfort of your couch a fantastic adventure. The end result. Everything you need for 2-3 weeks. 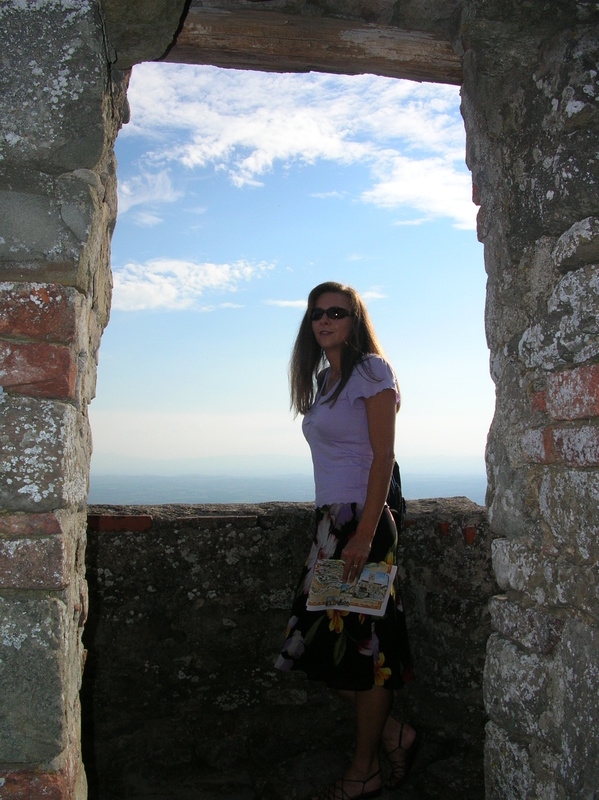 This list was for Sept 19-Oct 4, 2006 throughout Italy and created 12 separate outfits. Much has been written about New York City. What more could be added? How about, it’s a friendly big town that’s easy to get around in. That was our experience on a recent, first-time visit to the Big Apple. We decided to embark on this much-anticipated but high anxiety trip using the excuse that an artist friend I’ve had since the 7th grade lives in Jersey City with her family and it was high time to pay her a visit. Using her lovingly restored 3 story brownstone as base camp, we navigated the ferry at Liberty Landing to Ellis Island and the Statue of Liberty before taking another ferry to Battery Park. We later realized taking the PATH to New York City, we could’ve caught a free ferry that would’ve taken us to these two top sights but we wouldn’t have been able to disembark the ferry and walk around. Ellis Island could take ½ a day or more depending on your level of interest but we chose to walk around a time line exhibit which was a little quicker and still thought-provoking. Photos of the stunning interior hall do not do it justice. It is unfathomable to imagine the millions who passed this way. 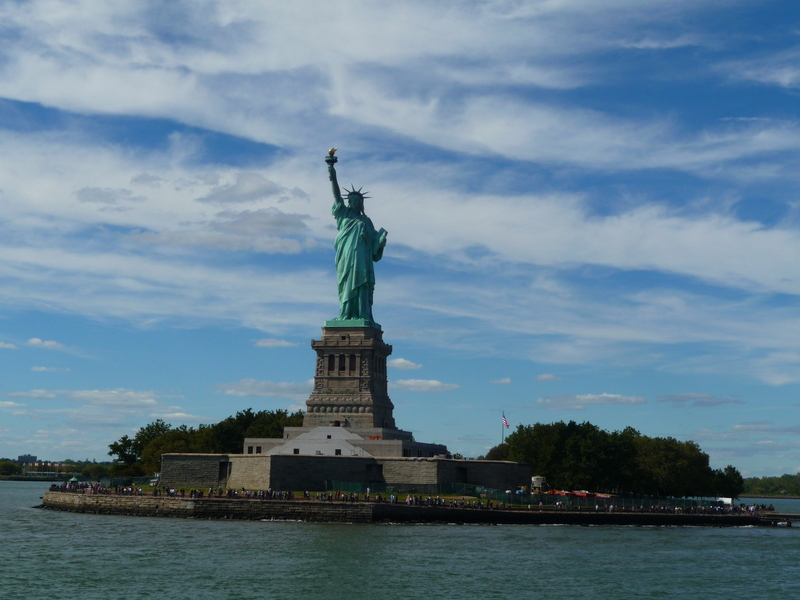 The Statue of Liberty was as vibrant as Ellis Island was somber. We were thoroughly entertained by watching other tourists capture the Statue in just the right way on camera. People are truly creative. While waiting for our stamped time to enter the 9/11 Memorial, we found ourselves in the Episcopal Church across from the World Trade Center site. This was apparently the closest church to the site and became home to relief workers during the rescue and recovery effort. Inspiring exhibits of thank you letters, pictures of workers being fed, sleeping and praying in this sanctuary during such a horrific time adorn the church. The quiet of this place is in stark contrast to the Disneyland-sized line to enter the 911 Memorial. Once inside, the masses disperse and you’re left to take in the two eternity pools set in the footprints of the once-famous Twin Towers. Standing at one of the pools looking down into it tracing the water flowing down, I could see how some would embrace it and some would be disturbed by it. The ‘Survivor Tree’ was less controversial for me. It was the closest tree to one of the buildings to survive though it was reduced to an eight foot stump. There’s a brief description of its story in the Memorial flyer and its scars are so obvious that its growth becomes an even greater testimony. Standing in front of it, I was caught up in the loss and the hope to the point of tears. Our second commute into the city we took the PATH from Jersey City Grove Street Station to the New York City World Trade Center Station. Ten minutes later, we arrived. Wow, that was ridiculously simple. There we were in the midst of it all. Armed with three walking maps because that’s just my travel personality, we hit all the big attractions we‘d yet to see. We walked across the Brooklyn Bridge with thousands of our closest friends careful to stay in the ‘walking’ lane but I admit to skirting over to the ‘biking’ lane from time to time because sometimes I’m a bobble head tourist like everyone else but not when I find myself on a pilgrimage. To reward ourselves for exercising what little patience God gave me, we stopped for ice cream at Brooklyn Ice Cream Factory giving us energy to turn around and do it again. Had it been closer to lunch time, however, I did note some inviting restaurants in the area particularly on Fulton Street. Close to China Town and Little Italy coming off Brooklyn Bridge, we made it a mission to find cannoli that would rival what we had in Boston a few years back. Caffe Roma on Broome St. sufficed and their coffee and service surpassed our expectations. Feeling ever encouraged by our successes, we attempted our first Metro experience being dropped off at 51st Street. While waiting, though, a local observed our uncertainty and looked up the Metro ap on his phone to give us more information about times and stop options. This happened to us more than once and it was a wonderful surprise. We saw Radio City Music Hall, sat outside at Rockefeller Center Plaza and then walked to Times Square. Here, we paused again. Climbing the bleachers positioned in the midst of the Square, we sat and I was struck by the silence of the chaos. Quickly I realized no one in the bleachers was talking. They were all just as in awe, just as meditative and contemplative as we were. It’s a hard sound to describe but I grinned ear to ear being a part of it. One of those wonderful travel moments where you are abundantly aware of how similar we all are in this great big world. Grand Central Station was a glorious surprise. I always have a loose itinerary of things I’d like to see and do when we travel but I don’t always know why I want to see something or research that site. I believe ignorance can sometimes be bliss. In the case of Grand Central Station that certainly proved true. I had no idea how gorgeous the ceilings would be, how vast the Station would be, that it would be lined with pastry shops, food markets, restaurants, clothing stores. I simply didn’t appreciate that it truly is a small city unto itself and it was an absolute treat to discover. Conversely, I did research Pete’s Tavern to find it’s the “oldest continuously operating restaurant and bar in New York City” and we were undeniably under whelmed by the pretense and expense though the ceiling and woodwork are notable. Another PATH stop from Jersey City puts you on 33rd Street. The rivalry lives on; see the New York City skyline from The Top of the Rock or the Empire State Building. From the 86th floor viewing deck, the Empire State Building is taller than the 70th floor Top of the Rock viewing deck but sometimes bigger isn’t better and I felt out of touch with the city from that vantage point though my husband thought it was amazing. At $25 a pop, we’ll save The Rock for another time. Speaking of amazing, we both agreed the frozen hot chocolate at the renowned Serendipity 3 is worth the price tag ($8.95 as of this writing). Decorated with Tiffany lamps and the stomping ground of the likes of Andy Warhol, Sarah Palin, Rachael Ray and Justin Bieber, it has been a welcome stop for weary travelers and jet setters alike for over 50 years. Sadly, my Jersey City friend had never heard of this place which just proves being a tourist in your own town is a worthy pursuit. All these calories motivated us to walk to and around Central Park. There’s so much to see in Central Park and it’s been covered by countless so I’ll just say that finding the Balto statue was at the top of our list. For those who don’t know, Balto was a “sled dog who led his team on the final leg of the 1925 serum run to Nome” becoming one of the more famous dogs to transport the medicine that saved the children of that area from a potential outbreak. Seemed like as good a reason to visit Central Park as any and we have a wonderful photo of Balto & me to commemorate our moment. As lovers of jazz, we listen to Jazz at Lincoln Center every week on our local station so it was only natural to walk across the Park to Lincoln Center to poke around. It’s not open in the middle of the afternoon but, luck be a lady, a very accommodating employee let us into Dizzy’s Club Coca Cola to gaze at the floor to ceiling windows and imagine what a perfect setting this intimate club is at night filled with some of the finest jazz musicians on stage and Central Park lit up as the backdrop. Spending our days alone exploring the city while our friends worked, we took the PATH back to Jersey City each evening for dinner with them so didn‘t partake in much night life. However, we took in a couple noteworthy restaurants such as Defonte’s on the corner of 21st & 3rd Avenue which has been on Diners, Drive Ins and Dives as well as another DDD alumni, the Brownstone Diner located in Jersey City. We ducked into a quiet and cozy bar near Defonte’s called Exchange Bar & Grill and had a wonderful dinner in Jersey City on the roof of Skinner’s Loft. There were many times the people of New York City extended themselves. From the people in the subway giving us directions to standing on a street corner looking at a map having locals walk up to us asking if we needed help to the very kind police officers who, unofficially, act as tour guides and do so with a smile on their faces to the Transit cops at Penn Station who helped us with our Newark Airport train. 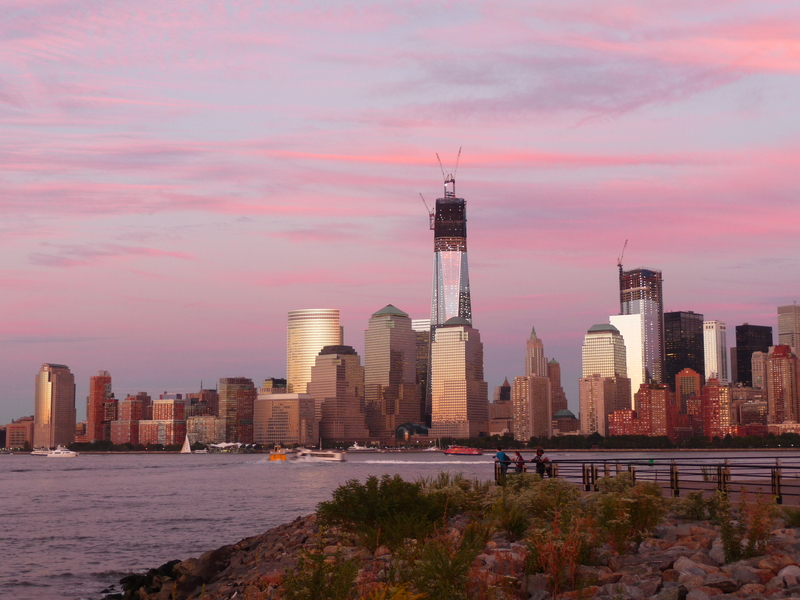 We had experience after experience of New Yorkers being friendly and proud of their big city. 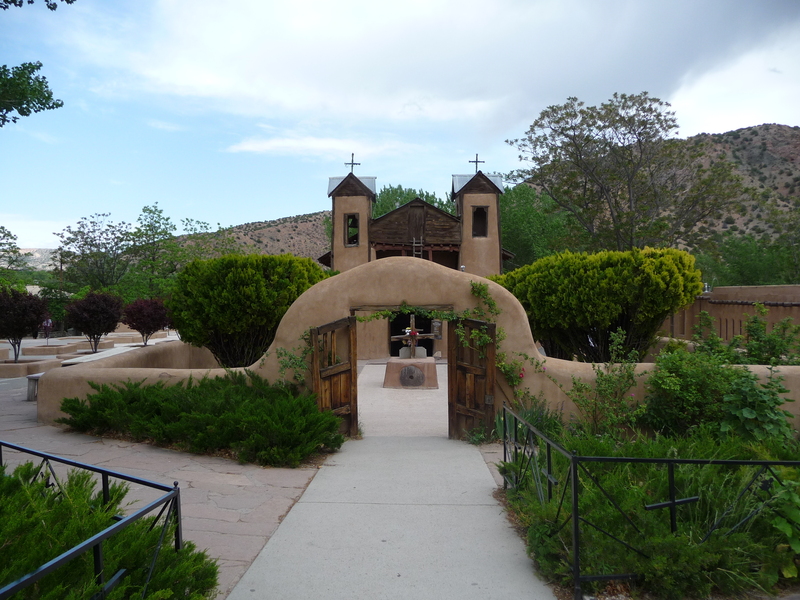 We were pleasantly surprised and humbled every time. Walla Walla has no shortage of tasting rooms but the options are greatly reduced mid week. Never fear, there are still several wineries to be applauded for their commitment to being available every day of the week. Walla Walla’s Eastside has the distinction of several tasting rooms on their airport grounds, many of which occupy World War II buildings once used by The 91st Bomb Group (think Memphis Belle). One can literally fly into the Walla Walla Regional Airport and walk to a dozen wineries. Eleganté Cellars, owned by a retired school teacher-turned-winemaker, makes an excellent first stop for some education and a unique treat. Although Doug Simmons’ 2007 Malbec was my favorite due to its boldness in taste and appearance, his ode to summers spent working in the strawberry fields is a gem. This strawberry wine will not be found anywhere else in the region. Its off dry characteristic literally tastes like crushed strawberries in a glass with none of the syrupy thickness one might equate to a fruit wine. 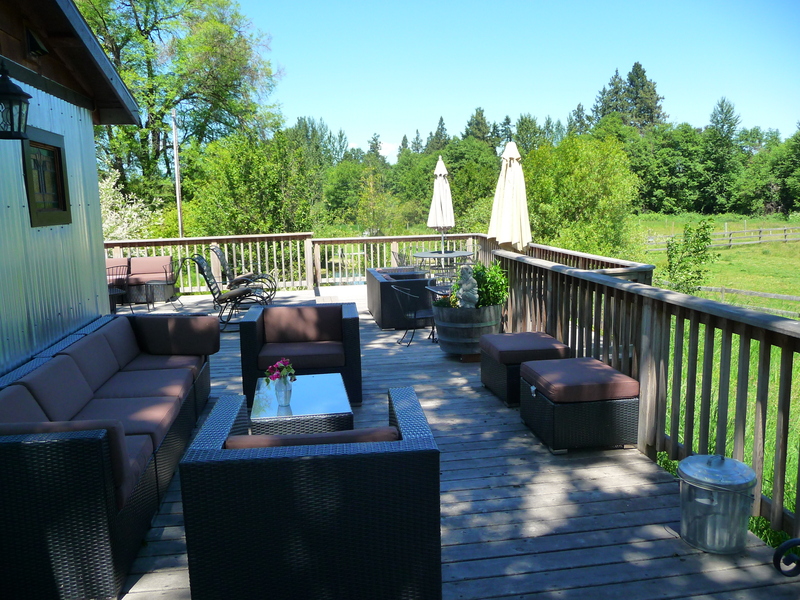 Adamant Cellars occupies the old mess hall and its tasting room is presided over by co-owner, Debra. I found all four wines poured to be extremely approachable as sipping wines but gaining in complexity with appropriate food pairings. Admittedly, Adamant won my vote for best wines of the day. Our final stop on our mid week tour of the Eastside was Dunham Cellars. It goes without saying that they had many wonderful wines in their tasting line up. What was a surprise was the event space which can double as their tasting room when accommodating people like Nate are pouring for customers. Set in a World War II airplane hangar and adorned with winemaker Eric Dunham’s art, this space has something new and fantastical to cast your eyes on with every quarter turn. The setting marries perfectly with each pour although my favorite was the aptly named Trutina – Italian for balance. 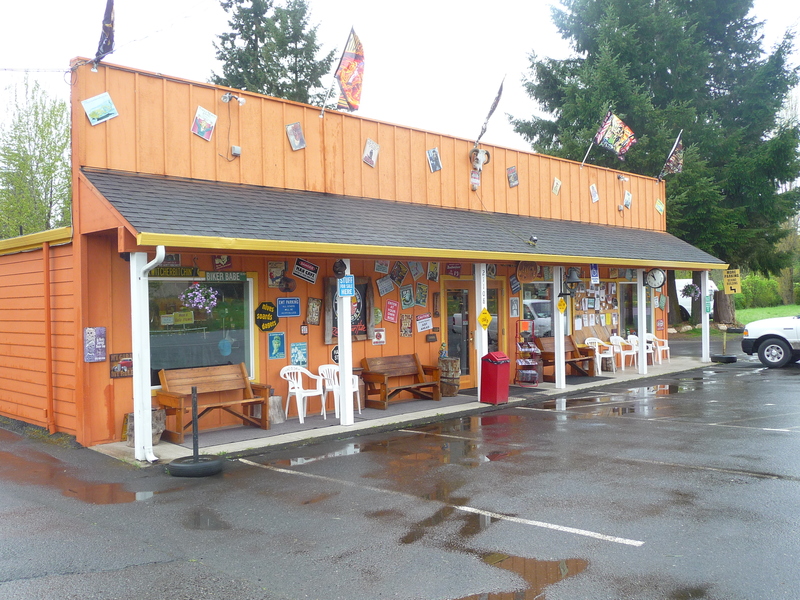 Driving SR 125 (also known as 9th Ave) on the way to the Southside vineyards, you’ll pass the upscale sandwich shop Graze, a perfect place to purchase a picnic lunch. They even offer a convenient drive up window. Less than 10 minutes down the road you’ll see why lunching in this area fits perfectly into the day. Unlike most of the tasting rooms on the Eastside or Downtown, these wineries are surrounded by acres and acres of picturesque vineyards. Northstar Winery’s signature is their Merlot and it’s a fun education to enjoy a side by side tasting of their Columbia Valley vs. Walla Walla varietals. Northstar also sells cheeses to enjoy on their patio or larger options of meat and cheese picnic packs. Back down the road is Va Piano, featuring four families of vineyards; Bruno, Va Piano, Estate label and Black label. Father Bruno Segatta is an artist, designs the Bruno labels, has art displayed in the tasting room and visits from Italy a few times each year. While attending Gonzaga University, the Va Piano winemaker, Justin Wylie, met Father Bruno during a study abroad program and they’ve woven their friendship into this business venture. The Bruno label is intended as a more every day wine price point and they do a fine job meeting this goal. One can certainly taste the complexity increase through the labels. Rounding out our sampling of Southside vineyards was Basel Cellars. We were told by Nate at Dunham Cellars, that this was an excellent choice for their wine, of course, but the estate is exquisite. 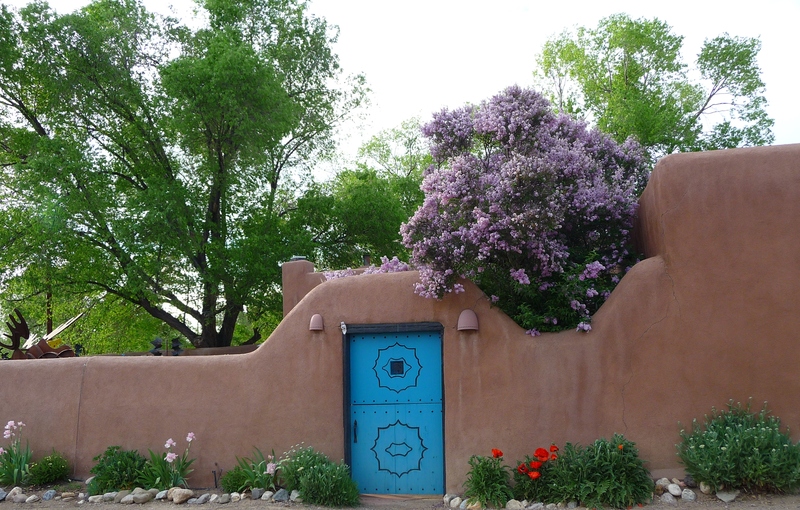 Visitors are greeted by a wrought iron horse-adorned gate and the not-to-be missed wood carved entry door to the main house that cost $100,000 on its own. 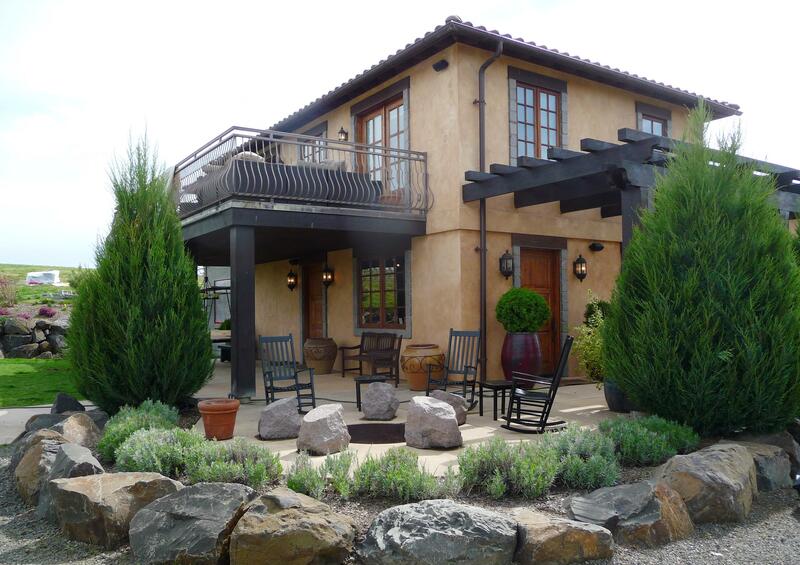 Yes, this was originally a $22 million private residence when it was built in 1995 and became a winery in 2002. 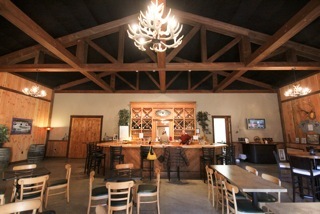 The tasting room is set up in “one of the garages” near the main home. As one can imagine, these wines better hold up to the grounds they grace and they do an excellent job of that. 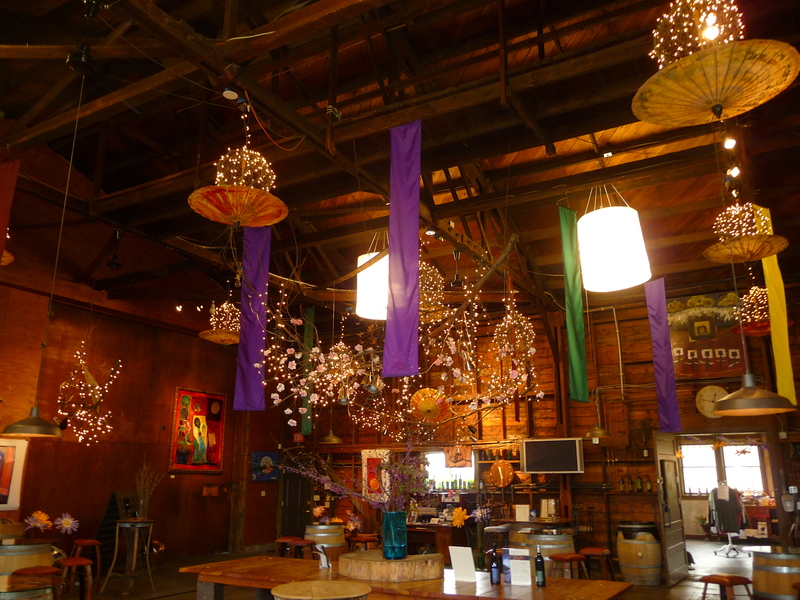 What is a surprise is that their wines are considerably more affordable than most other wineries we’ve visited in the Walla Walla area. They proudly make a $20 bottle of Estate wine to compliment their higher price point portfolio and it is a delightful Claret. Far more of the downtown (or Northside) tasting rooms are open daily. We chose Trio Vintners but, alas, they must have changed their hours since the 2013 guide went to press. I imagine this happens rarely but it’s something to be aware of. Directly next door were two other options. We strolled into Locati and our hostess, Alicia, was accommodating and amicable. Locati is actually an Oregon winery with a Washington tasting room so they’re considered a “specialty shop”. As such, they must carry another product so they feature an Oregon cider which introduces some to the promise of a cider tasting or two across the Stateline. Also available in their tasting room is a nice round up of cigars. Of our five tastings, I especially liked the 2008 Sangiovese though their red blend, Innovation, was pleasant, as well. Making our way back to our home base in Kennewick, we rounded out our day at a couple Westside wineries. Having enjoyed a nice Three Rivers Cabernet Sauvignon a couple nights ago, Three Rivers Winery on Old Highway 12 was an easy choice. With a Par 3 course onsite and free equipment available, this is a fun pre-dinner stop. Enjoy a glass of wine, kick around the Par 3 and soak in your beautiful surroundings. While Walla Walla is better known for their reds, most wineries do offer some nice white wines, as well and Three Rivers’ 2011 Sauvignon Blanc was one of my favorite whites of the day. At Waterbrook, they’re excited to be pouring #71 of Wine Spectators Top 100 Wines of the World; a 2009 Reserve Merlot. That is quite a distinction but their Malbec with its wonderful peppery finish won my heart. With over 100 wineries in Walla Walla to choose from, the options can be daunting. Ergo, a mid week visit is an excellent idea; fewer choices but no fewer fabulous wine experiences and a lot more elbow room at the tasting tables. At the corner of 4th and Cedar in downtown Camas, Natalia’s Café has been earning enthusiastic reviews from locals and out-of-towners for several years. With breakfast fare consisting of stuffed French toast and crepes as well as several omelet options, this is a great start on a day of great stops. Stepping out onto the tree-lined streets of Camas, take the morning to browse unique clothing stores such as Lily Atelier and Luxe or home décor stores like Lizzabeth A, The World Works and The Cupbearer. These last two in particular are part of the ‘up cycle’ movement where a glass fruit bowl, for instance, is turned into a beautiful bird feeder. The Cupbearer also carries a line of wonderfully crafted wine furniture made by the shopkeeper’s father out of used wine barrels. 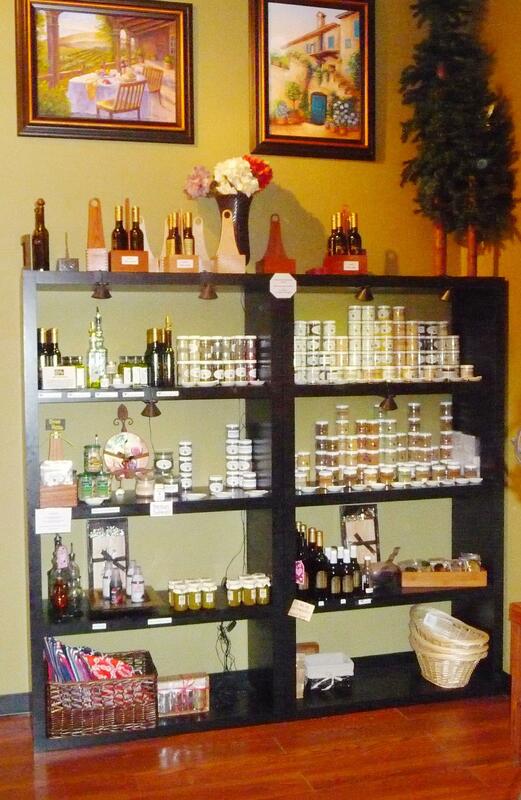 At Navidi’s Olive Oils & Vinegars you can taste all of the oils, vinegars and sea salts carried here. Dubbed as a specialty food store, there’s more to Navidi’s than the name suggests. About three miles east along Hwy 14 is Washougal, home to Pendleton Woolen Mills Washougal Mill since 1912 when it was purchased primarily for weaving capabilities. 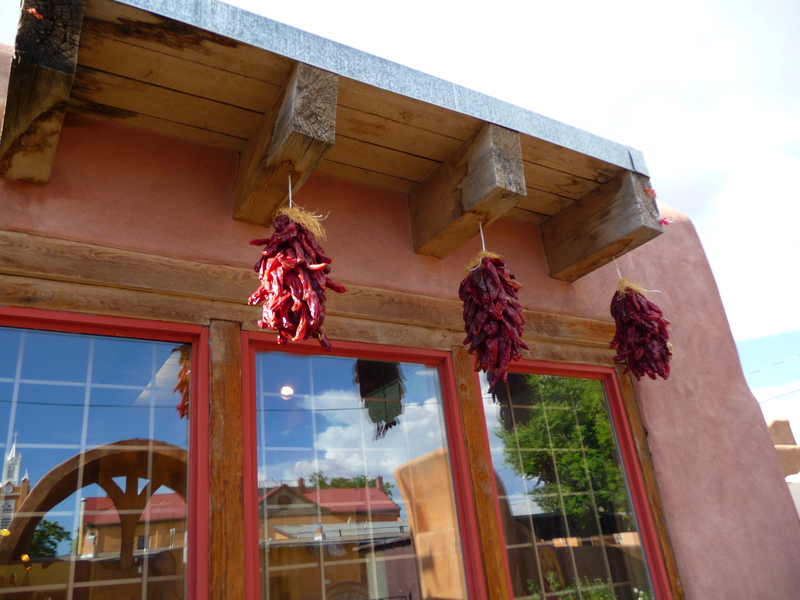 Their 45 minute informative and entertaining tours are free and given at 9am, 10am, 11am and 1:30pm Mon-Fri. At the end of the tour, take time to browse their extensive store filled with the beautifully dyed blankets you just saw being made. Directly across Hwy 14 from the Pendleton Woolen Mill is the entrance to a multi-use trail that runs along the dike and drops down onto Cottonwood Beach Park or you can continue the full three miles into the Steigerwald Wildlife Refuge where there’s another trail that meanders through the refuge called Gibbons Creek Wildlife Art Trail. Whatever you decide, this is a great spot for a late picnic or a place to ponder after a long stroll in a beautiful setting. Fifteen minutes from the park heading back to Vancouver off the 192nd Avenue exit is English Estate Winery, the oldest winery in Clark County. 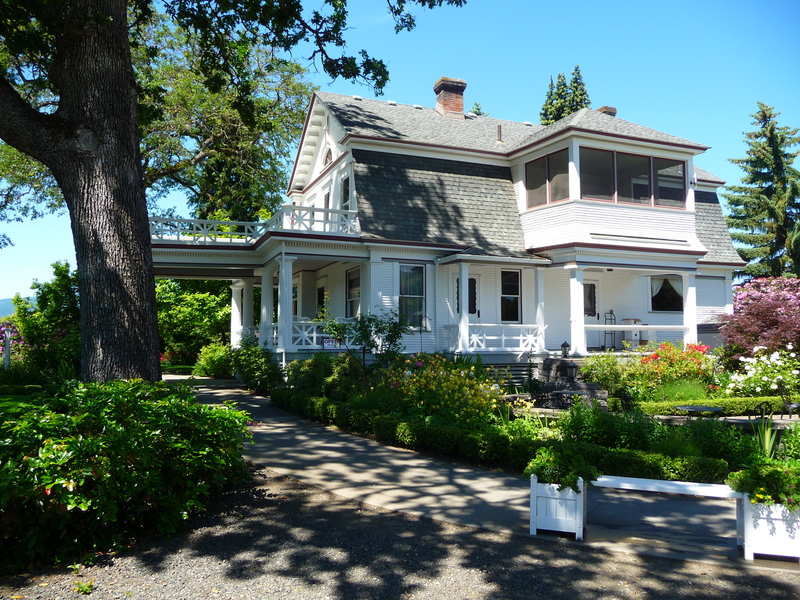 Set amid buildings dating back to 1915, the 20 acre homestead is at once comfortable and elegant. Come to enjoy a tasting, some live music, food offered on Friday nights, or find a favorite varietal and savor the day a little while longer.